This is the ultimate African experience for visitors to the country. South African safaris allow visitors to view wildlife consisting of nearly 300 different mammal species. Wildlife in South Africa is amongst the most prolific and spectacular in the world. A South African safari will allow you to encounter the “Big Five” – lion, leopard, elephant, rhino and buffalo – in an environment that has remained wild and untouched. South African safaris vary. Take your pick between small, private reserves with luxury accommodation, tented camps with open air showers or world-renowned National Parks that offer a wide range of accommodation to suit every visitor’s budget. Some reserves give you wildlife with the sophistication of golf courses, casinos, hotels and glamorous entertainment attached. Others offer a total wilderness experience far from the madding crowd, while still others are well known for their conservation work and personal attention to every need of their visitors. You may also choose alternatives to the traditional vehicles, with some reserves offering guided walking trails through the bush, horseback safaris and even elephant-back safaris. From the banks of the great Limpopo River to the malaria-free plains of the Eastern Cape, the choice is indeed infinite. Contact us today to begin planning the once in a lifetime experience of a South African safari. Here’s a taste of what you can expect on your Africa safari. We have put together a unique African odyssey, proven to be one of our most enjoyed safaris to date. This is a true escape from the noise and pollution of city life, into a world of peace and total harmony with nature. You will spend several days and nights in the magical reserves of Kwa-Zulu Natal, world-renowned for their rhino conservation programmes. Kwa-Zulu Natal’s bushlands and savannas contain an abundance of game, particularly rhino, and you’ll be able to appreciate its outstanding natural beauty on this Africa safari. As an added bonus, on our way to the first Africa safari camp we’ll stop over at a traditional Zulu village where you will have the opportunity to experience the magic and mystery of traditional Zulu culture. Once in the reserves, you will stay in comfortable, traditionally built lodges and bush camps. Supper will be cooked over open fires under the velvety, star-studded African sky, and you’ll eat on your Africa safari to the accompaniment of the sounds of the bush – the distant roar of a lion or a giggling hyena. Early each morning, in the hush of the pre-dawn darkness, we set off in a 4-wheel drive vehicle on an adventure into the African bush. This is the best time to catch a glimpse of the nocturnal creatures before they hide from the heat of the day. You will also be given the opportunity to accompany an experienced tracker into the wilderness on foot for a really close encounter with nature. On one of the evenings we will join a ranger for a night drive in an open jeep and discover the difference and thrill of the wild after dark. If you are very lucky you’ll get to see an elusive leopard with his kill. Sadly, our odyssey must eventually end, but you can still continue with your South African adventure once your Africa safari is over. Maybe there’s still time to squeeze in golf, shopping or a host of other activities. Contact us today to begin planning the once in a lifetime experience of a South African safari. South Africa lies at the southern-most end of the African continent, stretching from latitude 22� to 35� S and from longitude 17� to 33� E. The surface area is over 1.2 million square kilometres. That’s five times the size of Britain! There are two sovereign states within South Africa’s borders – Lesotho and Swaziland. On the country’s northern borders are the independent states of Namibia, Botswana, Zimbabwe and Mozambique. Efficient road, rail, air and sea links make most of the country easily accessible to visitors and connect us with the rest of Africa and the world. South Africa has three capital cities, the legislative capital being Cape Town. The city is known as South Africa ‘s “Mother City” and is also home to Parliament. The administrative capital is Pretoria and the judicial capital is Bloemfontein. The country’s largest city is Johannesburg – South Africa ‘s powerhouse and business capital. Begun as a settlement near the newly-discovered Witwatersrand gold reef in the “Gold Rush” of the late 1800’s, Johannesburg is today an incredibly young, vibrant and sprawling metropolis. As one moves northwards up the East coast, one is greeted by the coastal cities of Port Elizabeth and East London. Both are steeped in early British settler history and retain much of their historical charm today. On the KwaZulu-Natal coast lies Durban, South Africa’s largest port and third largest city. Kimberley, home of De Beers, is the most important town in the Northern Cape, due to the discovery of diamonds there in 1867. The ‘Big Hole’, once the largest open diamond digging in the world, is now a great tourist attraction! Apart from diamonds and gold, South African industry has been blessed with some of the world’s richest mineral deposits. Fertile soils supply food for its burgeoning population, with plenty left over for export to all the major nations of the world. South Africa pioneered the extraction of oil from coal during the years of international isolation, and today has promising offshore reserves of oil and gas. South Africa’s main revenue earners are the fishing, wine, fruit, sugar and tourism industries. The coastline, which stretches along some 3000km of golden, sandy beaches interrupted by rough, rocky sections, is swept by two major oceans – the Indian Ocean to the East and the Atlantic Ocean on the Western side. The two oceans meet at Cape Agulhas, the most southerly tip of the African continent. From the Indian Ocean, the south-flowing Mozambique-Agulhas current carries warm water down the south-eastern coast, while the west coast is influenced by the cold north-flowing Benguela Current from the Antarctic. As a result of these extremes in temperatures, together with the coastal mountains and winds, South Africa is richly endowed with an incredible diversity of flora and fauna. These are also accompanied by rich marine life in the vast Atlantic and Indian coastlines. Located in the southern hemisphere, South Africa’s seasons are the opposite of Europe and the United States. Winter is from May to August and summer is from November to February. South Africa’s Eastern shores experience a subtropical climate, with high summer humidity caused by the warm seas, and year round rainfall. The West Coast provides a startling contrast with the east coast. Colder waters resist evaporation, and the land becomes more desert-like the further north one travels. Rainfall occurs rarely (predominantly in the winter months), bringing life to the desert in an outrageous display of spring flowers that stretch from the Western Cape coast to Namaqualand in the Northern Cape. 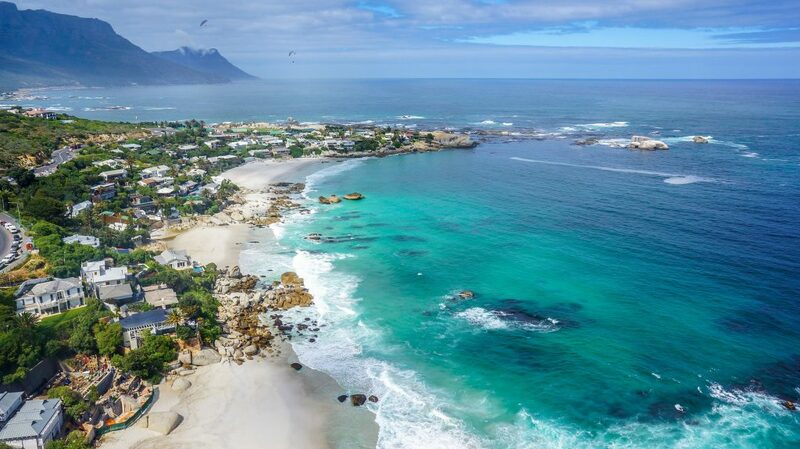 Cape Town itself experiences a Mediterranean climate of hot, windy summers with endless sunshine and cool, wet winters. This climate makes for ideal conditions for the fruit and wine production the region is justly famed for. The northern provinces of Gauteng, Limpopo, Mpumulanga, and the North-West Province, as well as the Free State, in the centre of the country, experience hot summers with rainfall usually in the form of afternoon thunder storms. The winters are dry, with cold, frosty nights and beautiful sunny days. Sunburn and sunstroke can be serious problems. Always use sunscreen lotion in both winter and summer and a hat is useful. Malaria protection is needed in some parts of the northern provinces and should be taken as prescribed. South Africa’s New Democracy is underpinned by the Constitution, which was signed into law in 1996. It is seen as a barricade against racism and any infringement of individual rights. The first democratically elected government in 1994 was headed by President Nelson Mandela, South Africa’s much beloved elder statesman and international icon. He was succeeded in the 1999 elections by our current president, Thabo Mbeki. The total population of South Africa is 43 million, and is composed of a diversity of races, cultures, beliefs and languages arising from a cultural melting pot of the first Dutch, German, French and British settlers, with a dash of Italian and Jewish immigrants, spiced with Indonesian slaves and exiles, Indian and Chinese indentured labourers, Nguni peoples from the north and local Khoi-San tribes. There are 11 official languages, English, Afrikaans and nine African languages, of which Zulu and Xhosa are the most widely spoken. The Constitution allows everyone the right to use the language of his or her choice. English is however widely spoken and understood by most people and is the language of business and commerce. Freedom of worship is guaranteed by the Constitution. Almost 80% of South Africa’s population is of the Christian faith, but belong to a variety of Christian churches. Other major groups are Hindus, Muslims and Jews. There are also people that regard themselves as traditionalists or of no specific religion at all. While convincing archaeological evidence seems to confirm that South Africa ‘s history goes back to the dawn of time, our written history is much closer to the present day. The 15th century Portuguese navigator, Bartholomeu Dias, was the first recorded European to set foot in this part of the world in 1488. However it was the Dutch, very influential in the history of South Africa, who established the first proper settlement in the form of a small refreshment station. The station, set up in 1652 to supply the ships of the Dutch East India Company on their long journeys to and from the spice islands of the East Indies, grew into the city we know today as Cape Town. The arrival of the first Europeans at the foot of Africa met with little resistance from the Cape’s only human inhabitants, the Khoi-San people. These survivors of mankind’s ancient Stone Age childhood were hunter-gatherers and nomadic pastoralists. They were innocent onlookers who by the 18th century had been all but decimated by conflicts and European diseases such as the Great Smallpox Epidemic of 1713 – a dark year in the history of South Africa. Black tribes, who had been slowly moving down the east coast from further north in Africa, were not encountered until 1702 some 700 km away, when Dutch farmers migrated eastwards and made the first contact with the Xhosa people. The British, who crushed the tiny Dutch garrison after 150 years of occupation of the Cape, sent hundreds of immigrants up the east coast to the Great Fish River to act as a buffer between the growing European colony and the Xhosas. The 100 years of ongoing conflict and bloody battles between whites and blacks at the Great Fish River is an important part of South Africa ‘s history and the battle had consequences which are still unfolding today. Battles were also fought in what is today KwaZulu-Natal, between the Zulus and north-trekking Dutch farmers (Boers) and later on the British, who had conquered the Boers and made Natal their Crown Colony. Then came the Anglo-Boer war of 1899-1902, the culmination of bitter feuds between the British and the Afrikaaners, as the Boers now called themselves, who had settled on the grassy plains in the north. Factors leading up to the Anglo-Boer war was the discovery, first of diamonds in 1867 and then the Witwatersrand main gold reef in 1886, both in the areas controlled by the Afrikaaners. The British won this war and in 1910 the Union of South Africa was born – a self-governing dominion within the British Empire. However, in 1948 the Nationalist party, supported by the white Afrikaans-speaking population, came into power – a position they were to hold for the next 40 years. Nobel Peace Prize Winners, Nelson Mandela & FW de Klerk. The 40 years up to the first democratic elections of 1994 were marked by the enforcement of the Nationalist Party’s harsh apartheid laws, which stripped black South Africans of their basic human rights, and South Africa’s increasing isolation from the international community. On 27 April 1994 the many years of struggle for freedom achieved its goal. Free elections were held, South Africa ‘s apartheid was history and Nelson Mandela became president of this Rainbow Nation. South Africa ‘s history has been colourful and unique and has resulted in a country that is a melting pot of different races, religions and cultures – a true rainbow nation. The Western Cape province is situated on the south-western tip of the African continent. This is a region of majestic mountains, well-watered valleys, wide sandy beaches and breathtaking scenery. Cape Town, the Mother City, established in 1652, lies cradled at the foot of one of the world’s most famous landmarks, Table Mountain. Along with Table Mountain, the Victoria & Alfred Waterfront and Cape Point are some of the most popular tourist attractions in the country. A wonderland for botanists worldwide, the Western Cape is home to the world’s smallest floral kingdom, boasting a greater diversity of plant species than any other place on earth. For many, the Winelands, located within driving distance of Cape Town, are considered the heart of the Cape. The region consists of historical homesteads and vineyards nestled below rugged mountain ranges. Some say you haven’t lived until you’ve experienced the Cape West Coast. This stretch is home to the Swartland, with its dramatic coastline, 5 million year old fossils, rolling wheat lands, dairy farms, orange groves and vineyards, historical mission stations and endless mountain ranges. Whatever you’re looking for, you’re bound to find it here at the Cape, one of the most magical places on the planet! Just view our South Africa map above for specific regions. Follow the West Coast road north from Cape Town and enter a region unlike any other in South Africa. The Northern Cape is not for the faint hearted, with vast arid plains and extreme climatic conditions. The largest of all the provinces, the Northern Cape has the smallest population, and boasts the coldest town in the country, Sutherland, where temperatures plummet to minus 10 or lower in winter. Famed world wide for its spectacular display of spring flowers, the Northern Cape (see our Northern Cape map above) is also home to several national parks and conservation areas. These include Africa’s first Trans-frontier Park, the Kgalagadi, which provides unfenced access to a variety of wildlife between South Africa and Botswana. The Kgalagadi is one of the world’s largest remaining protected natural ecosystems with an area of over 2 million hectares. The Kalahari Desert area of the Northern Cape is also home to the last remaining true San people (Bushmen), and is rich in San rock engravings. Visit the world’s most famous diamond mines, paddle the mighty Orange River, drive awesome 4×4 trails and be amazed by the cathedral in the desert. Whatever you choose, you will not regret your decision to go off the tourist track. More commonly known as the Overberg – “over the mountain” – this is the most southerly region of Africa, the Cape’s most jealously guarded secret. Many visitors to our shores miss out on this hidden beauty because nobody told them it was there. Make sure you don’t! Here you’ll find Cape Agulhas, the very southern-most tip of the continent, where the Indian and Atlantic Oceans meet. On the way you’ll discover a garden of delight, with rare wild flowers, orchards of fruit, wine estates and breweries, endless fields of wheat, oats and barley, the nursery of the Southern Right whales with the best land based whale watching in the world, close encounters with the Great White Shark, country hospitality, history and culture going back to the very first hunter-gatherers who once inhabited these lands, architectural gems, conservation projects� the list goes on. Spend time here, explore on foot or horseback and you’ll be well rewarded. When you’ve seen the 250 kilometres of empty, unspoiled sandy beaches washed by the warm Indian Ocean, the many charming seaside resorts caressed by balmy breezes, the deep river gorges, the lagoons, the strings of lovely lakes and forested mountains, you’ll understand why this part of Africa is so often called a taste of Eden. Stretching from Mossel Bay, where Bartholomew Dias first made landfall in 1488, up the east coast to the Tsitsikamma Mountains, the Paradise Coast has so much to offer, it’s not a case of what to do, but how to do it all. Apart from an enormous range of activities, from relaxing in the sun to the adrenalin rush of the highest bungee bridge jump in the world, visiting the world-renowned Cango Caves and ostrich farms of Oudtshoorn or swinging through the forest along Tarzan’s tree top trail, there’s a wealth of local artists producing anything and everything, from making paper out of dung to carving the superb woods from the indigenous forests. Accommodation options likewise range from the simplest self-catering forest cottage to the heights of absolute luxury, where your every whim will be indulged. This is where the Garden Route leads you, the province offering more than a million hectares of malaria free game reserves, hundreds of kilometres of shining beaches and the highest number of sunshine hours on South Africa’s coast. Add to this the dramatic, rugged mountains and arid, open plains of the Karoo heartland, lush indigenous forests, a wealth of fascinating multi-ethnic history and the almost untouched paradise of the Wild Coast, Nelson Mandela’s birthplace and today an eco-tourism hotspot, and you have everything you need for a true African experience. Bounded by the Indian Ocean on the east, and on the north and west by the majestic Drakensberg, South Africa’s highest mountains, called “the barrier of spears” by the Zulus, KwaZulu-Natal does not disappoint. Durban, South Africa’s largest port and third largest city offers superb hotels, a vibrant beachfront, art and culture and many shopping centres. A short journey up the coast brings you to wetland and marine reserves, mangrove swamps and tropical coral reefs (see Dive Safari). Further inland, experience traditional life in a Zulu cultural village, visit the battlefields and relive the history of the mighty Zulu nation – all while hearing the spine chilling tales of rivers running with blood. And let’s not forget KwaZulu-Natal’s famed National Parks and reserve areas, among them Hluhluwe-Umfolozi, fourth largest in the country and world-renowned for its rhino conservation programme. The heart of South Africa, this is truly ‘big sky’ country. From the scenic Eastern Highlands and Golden Gate National Park, to its golden maize fields, this is the ideal place to linger on a stopover between the Cape and Johannesburg or KwaZulu-Natal. One of the Free State’s lesser known secrets is that Bloemfontein, the provincial capital, was the birthplace of J.R.R. Tolkien, author of Lord of the Rings. From the City of Gold to natural wonders and wildlife, there is something for everyone in this region. Enjoy the extremes of Johannesburg’s exclusive upmarket suburbs and the throbbing life of the sprawling townships of Soweto and Alexandra. Descend into the depths of the deepest gold mines in the world, or be blown away by the spectacular Palace of the Lost City at the opulent Sun City casino complex. Go east to the hot Lowveld plains, and spend time with the Big Five in the world-ranking Kruger National Park, not only South Africa’s largest reserve but also now part of Africa’s newest Trans-frontier Park, jointly managed by South Africa, Mozambique and Zimbabwe. We are definitely a travel company with a difference. We organise your South Africa travel package with a built in WOW Factor® – that special something that will give you an unforgettable experience, and entice you to come back for more. In fact, we are so passionate about our unique WOW Factor®! concept, we’ve trademarked it! South Africa travel is synonymous with varied adventure. Anything is possible – whether you are looking for Cape Town’s beaches, wild South African safaris, diving on tropical reefs, relaxing on winelands tours or organising weddings, conferences, team building, incentives or golf safaris. And as an added bonus, South Africa is one of the least expensive destinations in the world. There are plenty of other tour operators who can organise these activities for you. So why should you choose us? The difference is that The South African Travel Corporation offers experiences, unforgettable WOW Experiences®, with the added spice of adventure, uniqueness and fun to enliven your senses – even if you’re the most blasé of business people or the most jaded of travellers. If you are looking for an authentic South Africa travel experience, you’ve arrived at the right place. Our expertise lies in putting together corporate and special interest group packages tailored to your group’s individual requirements. When it comes to special interest groups, travel to South Africa has become extremely popular. South African golf tours are among the very best the world has to offer – making the country perfect for golfing enthusiasts. So whether you’re planning a holiday with a group of friends, or proposing a corporate incentive trip, we will organise a wide variety of specialised activities to go with it. And of course, the South African Travel Corporation will always include the WOW Factor®! -that’s our promise! Our site gives you just a taste of the range of our ideas, concepts and solutions for an unforgettable South Africa travel experience. If we have piqued your interest and made you excited about the experiences you could have in this amazingly unique and spectacularly beautiful country, contact us to organise your trip today! Embark on a unique South Africa travel experience. See it, hear it, breathe it, feel it and above all, LIVE IT. Experience amazing South Africa, spiced and ready! As Just about the most sacred web-sites in Myanmar, this glittering pagoda situated in Yangon is a must-see for travelers wishing to learn about the Buddhist faith and society in Myanmar. Your manual will choose you up at your hotel and guide your small group on an entire-day sightseeing tour with the sprawling metropolis, which includes a relatively small downtown area. Right here, investigate colonial properties along with the Yangon River exactly where tree-lined streets extend together numerous lakes. When you tour by air-conditioned vehicle, your guide offers commentary concerning the colonial architecture, spiritual buildings and parks, offering insight to the diverse population of Yangon, exactly where earth religions coexist in the former cash. Get to grasp the actual Yangon, the most important metropolis and big hub of Myanmar, property to some 3.5 to five million inhabitants. Cease in neighborhood teashops (individual expenditure) together the way, and find out the Sule Pagoda—a Burmese stupa situated in the guts of downtown. Am i able to consume the drinking water in Myanmar? Ingesting faucet water isn’t really advisable in Myanmar. For environmental good reasons, test to prevent buying bottled water. As a substitute, fill a reusable drinking water bottle or canteen with filtered h2o. Pre-e book your non-public arrival transfer will ensure you remain calm and to avoid the lengthy queue for a taxi after a tiring holiday getaway.Our driver will gather you out of your resort foyer in Mandalay at agreed time and transfer you to the hotel or place in Bagan. For travelers who get there at Mandalay Airport or Port, you can satisfy our driver on the exit gates holding a signboard together with your title on it. He will greet myanmar domestic travel you just before using you towards the coach and transport you to your hotel or destination in Bagan. Even now to today, In spite of the construction of railways in colonial situations or roads in Newer occasions, the rivers remain essential to transportation and for your traveller the only way to begin to see the state. Salay can truly declare to own stepped from the crushed tourist observe. It 1st emerged throughout the 12th and 13th centuries as an overspill of Aged …. 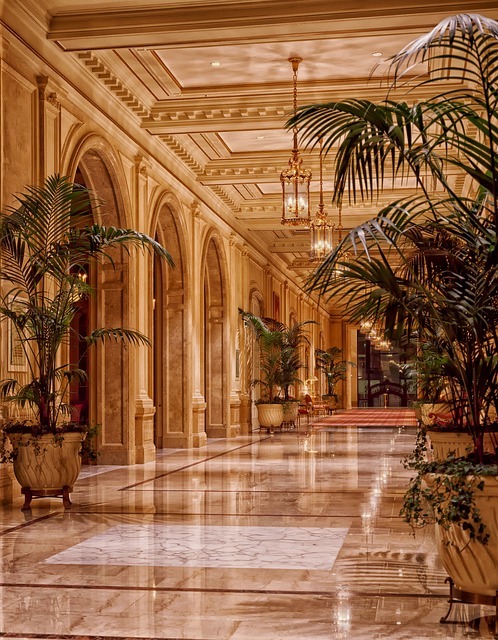 All our specialists have travelled extensively or lived of their expert areas. The same professional will deal with your journey from start to complete. Weakened by an earthquake while in the nineteen seventies, Ananda has become lovingly restored to former glory and continues to elicit admiration and surprise from both equally locals and people. The safety record of domestic Airways is just not publicly out there, neither is information on the oversight of maintenance requirements of domestic airlines by community authorities. 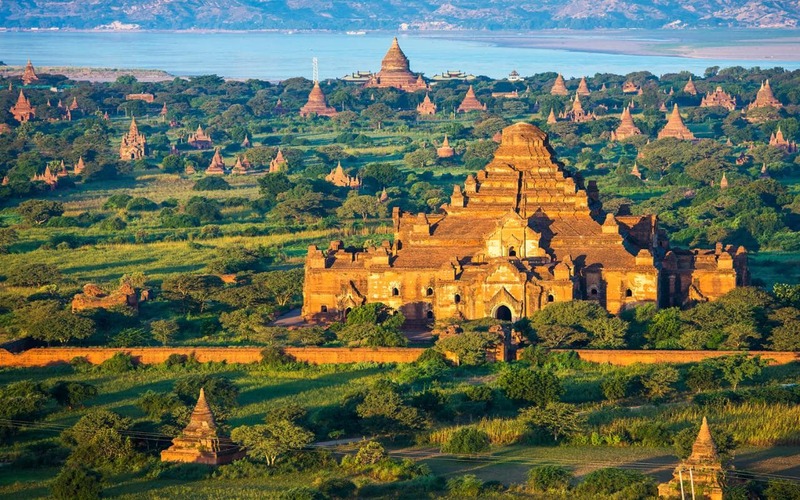 Burma isn’t your archetypal honeymoon spot but that’s why you’ll want to look at it. An Audley tailor-made Burma honeymoon will go away you with lingering memories of beautiful temples, smiling faces in addition to a wonderfully laid-back way of existence. Additionally, it has some attractive beach locations. “…. we as All people else got absolutely overcome by the really large boost of travelers to Myanmar so also Ngapali Seashore. Chef-restaurateur Andrew Carmellini’s Americana spot attracts on every little thing from New England seafood shacks to Southern barbecue spots for inspiration. The amazing crispy fried chicken with baked-to-purchase honey-butter biscuits could be the Soho restaurant’s most favored dish—and on weekends, it’s obtainable only all through brunch according to Top Brunch Spots. One of many much more popular things is their deviled egg flight, which is delectable. You can find also a espresso counter ideal after you walk in so you know their latte’s are truly worth ordering much too. Plus the Resort is super instagrammable, which is often a furthermore. Chef Andrea Carlson’s marriage with local suppliers ensures that only the most effective comes with the table, regardless of whether sourced from certainly one of Vancouver’s nearby farms or even a downtown city back garden. Burdock & Co. serves refined dishes crafted from organic and natural elements. The brunch menu has lots of breakfast and lunch options, so it really is a spot for any person as part of your team Anytime of working day. Cottage cheese adds A significant Strengthen of protein to these 3-component pancakes. (And even though They are shown topped with bananas, there are no in the actual recipe, if bananas are not your factor.) Have the recipe below. Then choose an entree, get an chaufa aeropuerto for your desk and cargo up on bottomless cocktails for $eighty five somebody. You may sense the enthusiasm and intent that emanates within the volunteer servers, waiters, and kitchen personnel. They took the time to elucidate the philanthropy and on top of that, provider was constantly outstanding. Our coffees and waters hardly ever went unfilled. Past this location donating their proceeds gonna a great lead brunch places to, the food stuff is sort of tasty! I had the breakfast plate and my Buddy experienced the poutine. The two have been exceptional, the eggs had been cooked flawlessly plus the rooster sausage was really tasty. There is not any Liquor, so Really don’t go trying to find the mimosas (I am aware I affiliate that with brunch). Ambiance: Tiny location plus a little bit heat. The entrance of it does not seriously look like a restaurant after you wander in, but I do know they also have a doorway which study ACSS closet. I am assuming you may donate dresses there. Unsure should they utilize the constructing for another thing in the week. Provider: They ended up Tremendous wonderful! The issue is, with volunteering your time, you are there simply because you wish to be not automatically since You must it must be. I believe that actually will make a distinction. All round: Just Go! Get Chicken and waffles and maybe even sign on to volunteer. Manchester has actually come a lengthy method because its beginnings as a 1st-century Roman negotiation. Discover the city’s magic for on your own from one of Manchester’s finest lodging alternatives, varying from shop inns to luxury resorts motivated by Batman. Found near Chinatown as well as the night life center of the North Quarter, Roomzzz Manchester City places you in the heart of the activity. It could be little, however the services are excellent, consisting of an HD TELEVISION, a different seats location as well as a jungle shower. You could indulge on timeless British food at all-day King Road Pub, while alcoholic drinks are offered in the bar up until late. Right here, you’ll discover a vapor area, a leisure area as well as an infinity health spa swimming pool with awesome sights of the Manchester Community Hall clock tower. Rated initially on TripAdvisor, King Road Condominium is situated in the heart of the city near spots such as the Royal Exchange Theater and also Manchester Art Gallery. Inside, the resort is both modern and also luxurious, with an intimate store really feel made feasible by its little dimension. Best of all, all houses consist of a small cooking area and also dish washer, so that you could conserve cash on eating out. Various other money-saving advantages consist of totally free Wi-Fi and also cost-free landline calls within the UK. Bordered by the independent bars as well as dining establishments of the North Quarter, shop pub-hotel The Abel Heywood is called after an extreme 19th-century mayor of Manchester. The solution is authentic, and also with simply 15 areas, this resort really feels a whole lot like residence – just cooler. Loft space areas additionally consist of a sofabed, making this a great shop alternative for pals or households taking a trip with each other. The heart of the resort is the ground-floor bar. The City Storage Facility House Resort. The City Stockroom House Resort appreciates a hassle-free area on the edge of the North Quarter, within very easy reach of leading family members tourist attractions such as Manchester Arndale shopping mall and also the National Football Gallery. Providing fashionable one- as well as two-bedroom houses total with every little thing you should make on your own in the house, this is the best selection for independent family members. The biggest homes rest approximately 8 individuals. All spaces consist of a complete cooking area, providing you the liberty to prepare the food your family members suches as at whatever time ideal fits you. There’s no on-site dining establishment, the bordering location is complete of them. Four-star spots The Midland is preferably put for charming day evenings, near Manchester Opera Residence and also The Bridgewater Hall. Pick from 312 extravagantly embellished collections and also areas, all with decadent beds and also a bathtub in the ensuite restroom. The resort has 2 acclaimed dining establishments – Adam Reid at The French (well-known for its seasonal British food); as well as the notoriously diverse Mr. Cooper’s Residence & Yard. The five-o’clock tea routine is particularly charming, yet it’s The Health club at the Midland that makes this resort the very best selection for pairs. Below, you could delight in a lengthy checklist of massage therapies or appreciate his and also hers elegance therapies. Emphasizes consist of a child grand piano in the extensive eating location, a walk-in clothing area as well as magnificent city views. The River Dining establishment offers premium seasonal food, while The Balcony is a hotspot for mixed drinks and also live songs forgeting the water. Manchester’s initial first-class resort is a holy place of modern deluxe, situated a brief stroll from the town hall on the contrary financial institution of the River Irwell. Discreet, silently hot and also elegant, it’s often visited by renowned football gamers as well as flaunts the biggest areas in the city. Despite which classification you pick, anticipate floor-to-ceiling home windows, very King-size bed as well as luxe dark timber furnishings. Ideal Organisation: Crowne Plaza Manchester City Centre. Bordered by the bars of Spinningfields and also the North Quarter, ultra-hip Resort Gotham is Manchester’s ideal option for celebration pets. Situated on the 7th flooring, this is the location to be as well as see seen: to drink Prohibition-era alcoholic drinks while massaging shoulders with Manchester’s A-list. From the Club Areas to the extravagant Inner Sanctum Suites, areas at Resort Gotham motivate you to accept your wild side. Easily situated in Manchester’s main company area, Crowne Plaza provides 8 adaptable conference spaces, enabling you to organize an occasion for up to 200 delegates. An expert conferences supervisor, a 24-hour company facility as well as totally free Wi-Fi include to the resort’s business charm. Found near the Gallery of Scientific Research and also Sector, Hilton Manchester Deansgate inhabits the very first 23 floorings of Beetham Tower. Its floor-to-ceiling views neglect the city, the Cheshire Level as well as the remote Pennine Hills. Discover the city’s magic for on your own from one of Manchester’s ideal holiday accommodation alternatives, varying from store inns to first-class resorts motivated by Batman. Found near Chinatown and also the night life center of the North Quarter, Roomzzz Manchester City places you in the heart of the activity. The City Stockroom Home Resort delights in a hassle-free place on the side of the North Quarter, within very easy reach of leading family members destinations such as Manchester Arndale shopping center and also the National Football Gallery. Manchester’s initial luxury resort is a holy place of modern deluxe, situated a brief stroll from the city facility on the contrary financial institution of the River Irwell. Bordered by the bars of Spinningfields and also the North Quarter, ultra-hip Resort Gotham is Manchester’s ideal option for celebration pets.